Do I pause to reflect on Allah’s creations all around me? Why is it important to do so? The Quran brings life to us. It makes us stop and think about everything in the world. 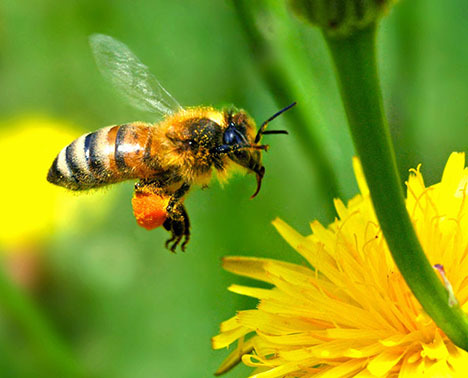 It is amazing how it draws our attention to the smallest of details of what we think to be insignificant of things such as a honeybee, fly or spider. We are usually too busy in our lives to look up at the stars or sometimes to notice that the day has passed, the sun has gone and the moon replaced by the sun. Qur’an invites to such reflections. And once we do start reflecting, as we all have been doing coming across throughout the Qur’an, we begin to appreciate Allah for His Greatness and His Planning of the universe. I have started to use these creations to help divert my children’s attention to them in hope that this will help them develop the recognition of Allah early on in their lives. Also for me, it serves as a useful strategy if they are outside and maybe complaining about a situation. Very recently, we had to go visit the hospital to see my cousin’s new baby girl. Unfortunately, we were stuck in traffic and got there later than the visiting time, so they let the adults in but the children who were so looking forward to seeing their tiny cousin could not go into the room to see her. My daughter was so upset and so disappointed; she went in her “bad mood swings”, which usually lasts a long while. As we stood outside waiting for the car in the dark, I brought her attention to the shining stars and started a conversation of: What do you think would have happened if Allah had not made the stars for us? Then we started talking about how Allah had created stars, and how in the olden days when there were no lights in the desert areas where the Prophet was, stars guided the travelers. She forgot her sadness for some time and I am sure established a connection with Allah even if it was brief. So the Qur’an is a beautiful book that leads us to beautiful realizations in our busy lives. Alhamdulillah after having joined class , I have started reflecting on Allah’s creation. I stopped reflecting for a while after Surah Ali-Imran. The reflections I mostly do are on my ownself. Like how Allah created us human beings. For instance, how we put dry food in our mouth and how our saliva moistens it and makes it easy to chew and swallow. Also how Allah created many veins in our bodies, each having its own function and how Allah causes our food to be digested without us even putting in any effort. I need to reflect more on nature, I don’t think I do this too often. It’s important for us to reflect so that we have true recognition of who Rabb. It’s also important to do so, so we can be aware of Allah’s power and might. There are so many signs pointing towards the might of Allah around us, but unfortunately we miss most of them due to our haste. Usually when I learn something amazing about a rare creature I am fascinated and in awe of Allah’s SWT creation, but I ignore the creatures around me that I see everyday, even though they are just as fascinating. Last year I had the opportunity to taste some amazing fruit that I had never even seen before, and we were all captivated by the beautiful colors and the taste, but I rarely think that way about the fruit I eat everyday. It is delicious and nutritious but I eat it without giving it a second thought. There are many reminders all around us, and we have to reflect upon them and take direction. This entry was posted in Uncategorized and tagged creation, environment, reflection. Bookmark the permalink.